Well, you know what they say about living in Seattle..
3kids1dog2, ton312, Benny Holiday and 4 others like this. Day 21 of the LW bootcamp. Rained on, snowed on, just keeps getting better. Ohhh boy is this nice. Like @ton312 said that grain. Youve got the LW tough as nails hide, and construction, but also get that kind of grain? Its not fair. IMHO, nothing is more universally flattering in appeal and function than a real Peacoat. I say that with a huge rack full of jackets/coats on hand and many more already sold. 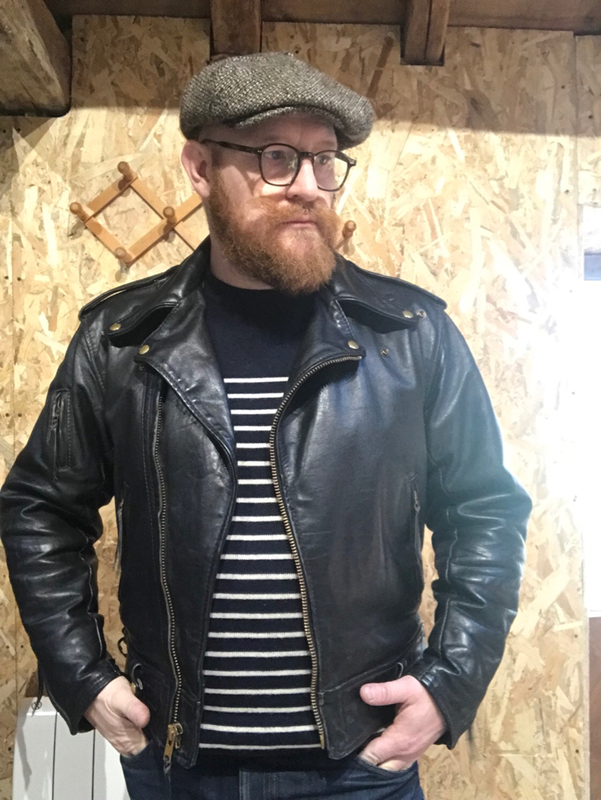 This jacket does what it was designed to do - keep you warm in bad/cold weather and it does it so simply and quietly (as opposed to my red and black packer coat for example ). It's been around since the 1800's with not all that many changes and for good reason - it works! It's timeless. There's a saying "simplicity is the essence of elegance" and I think it applies here. I’ve wanted one for most of my life but couldn’t make myself wear a Navy coat having been indoctrinated to green. El Marro, dannyk and jonesy86 like this. I don’t turn down offers from JC. I'm loving the whole look man...the shirt, sandals...that's living right there. Captain Sensible, handymike, El Marro and 20 others like this. That’s a cool design! Moving the ciggy pocket up to the chest like that actually makes more sense. low for the male version. A spot of tea with me mate. torfjord, Benny Holiday and Dav like this. Nice. Which one is this?? 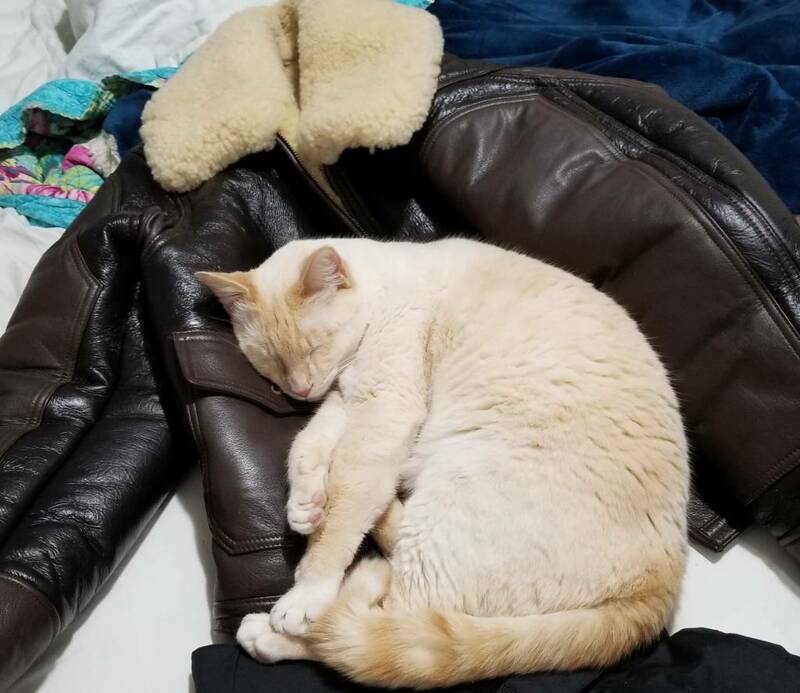 Apparently I'm not the only one that finds my LW ANJ-4 a good match for the cold weather. Alexlutov, Short Balding Guy, Joxi and 10 others like this. But... You know how they extend their claws when they stretch after a nap and usually dig them into whatever they're lying on! Be careful. Today....the colds back so a vintage 49’ Peacoat for me. Mom used to dress me up in a Peacoat from the Army/Navy store in the mid 60s. Never felt like it was warm enough for a NYC winter though. Looks pretty sharp Bowen, and of course the top is tops. Joxi, Nickelman2005, Tusche and 13 others like this. Alexlutov, Terminator, Joxi and 16 others like this. Alexlutov, ProteinNerd, Joxi and 12 others like this. That right there is my unicorn, a vintage straight zip Cal LAPD. 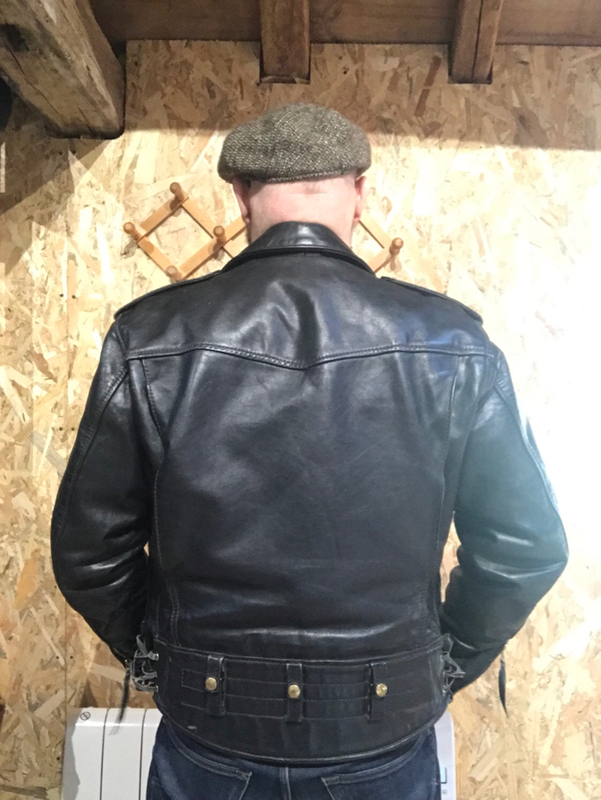 Cal certainly makes a great jacket, probably my favorite maker. And this straight-zip style is my favorite. I am toying with the idea of having Vanson make me one in Octagon. Or having Stu make me another one in something interesting. Or have Cal make me a new one. Or...it never ends. AbbaDatDeHat, dannyk and El Marro like this. Replace mouton collar with cat fur. sweetfights and Monitor like this.